“In the autumn of 1849, I was sitting with Judge David Davis in a small country hotel in Mt. Pulaski, Illinois, when a tall man, with a circular blue cloak thrown over his shoulders, entered one door of the room, and passing through without speaking went out another. I was struck by his appearance,” wrote Leonard Swett. “It was the first time I had ever seen him, and I said to Judge Davis, when he had gone, ‘Who is that?’ ‘Why, don’t you know him? That is Lincoln.’ In a few moments he returned, and, for the first time, I shook the hand and made the acquaintance of that man who since then has so wonderfully impressed himself upon the hearts and affections of mankind.”1 Swett was a veteran of the Mexican-American War. He settled in Illinois and began his practice of law because he suffered a medical relapse there while on his way back to his home in Maine. Swett’s influence was critical in the appointment of his friend and mentor, David Davis, to the U.S. Supreme Court in the summer of 1862. The question of an Illinois appointment to the court had lingered for more than a year when Swett, Davis and their fellow Bloomington attorneys received information that Orville H. Browning was likely to get the appointment – despite all the lobbying of friends who claimed that Mr. Lincoln owed the appointment to Davis for his work in getting him the Republican nomination. Swett went immediately to Washington to lay Davis’ case before the President. Mr. Lincoln agreed to appoint Davis, gratifying Swett. “Judge Davis was about fifteen years my senior. I had come to his circuit at the age of twenty-four, and between him and Lincoln I had grown up leaning in hours of weakness on their own great arms for support. I was glad of the opportunity to put in the mite of my claims upon Lincoln and give it to Davis, and have been glad I did it every day since.”18 There were limits to the influence of the Davis-Swett wing of the party. David Davis promoted Swett for the consul’s post in Liverpool – without success. Two years later, Cullom won the nomination (although another Lincoln friend, James Conkling, also desired it) and the election. Swett meanwhile moved on to Chicago and retired his electoral ambitions. Although Mr. Lincoln and Swett generally agreed in political affairs affairs, Swett admitted they differed Mr. Lincoln’s “ideas of money were always far from lavish. I never knew him to refuse to spend for anything he needed. Yet he was always rigidly frugal and in no way indulged, in himself or others idleness or wastefulness. I think he always gave to meritorious objects but I don’t think he would in anyone, continence thoughtlessness.”26 Swett was not so careful. In 1863 and 1864, Swett suffered financial reverses. Writing about their financial speculations, presidential aide John Hay recorded in his diary: “Tonight came in Swett and [Ward Hill] Lamon anxious about their line of stocks. Well might they be.”27 Swett had been appointed as the government’s representative to investigate. However, Swett was also acting as the representative of a company that was trying to take over the company. His conduct in attempting to use government military resources to take over the mine infuriated Army Chief of Staff Henry Halleck and embarrassed President Lincoln. After the Civil War, Swett was one of those who attempted to censor portions of Ward Hill Lamon’s biography of Abraham Lincoln – particularly the section alleging Mr. Lincoln had been born illegitimately. Douglas L. Wilson and Rodney O. Davis, editor, Herndon’s Informants, p. 731-732 (Jesse W. Weik interview with Leonard Swett, ca. 1887-1889). Allen Thorndike Rice, editor, Reminiscences of Abraham Lincoln, p. 456 (Leonard Swett). Rufus Rockwell Wilson, editor, Intimate Memories of Lincoln, p. 293-294 (Letter from Leonard Swett to Josiah H. Drummond, May 27, 1860). Allen Thorndike Rice, editor, Reminiscences of Abraham Lincoln, p. 465-466 (Leonard Swett). Willard L. King, Lincoln’s Manager, David Davis, p. 89-90. William O. Stoddard, p. 134. Willard L. King, Lincoln’s Manager, David Davis, . Roy P. Basler, editor, The Collected Works of Abraham Lincoln, Volume II, p. 347 (Letter to Henry Whitney, July 9, 1856). 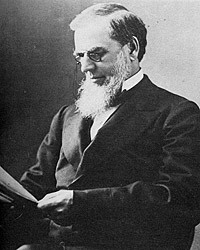 Albert A. Woldman, Lawyer Lincoln, p. 104. Francis Fisher Browne, The Every-day Life of Abraham Lincoln, p. 364. Michael Burlingame, editor, An Oral History of Abraham Lincoln, John G. Nicolay’s Interviews and Essays, p. 58-59 (Conversation with Leonard Swett, March 14, 1878). Don E. and Virginia Fehrenbacher, editor, Recollected Words of Abraham Lincoln, p. 441. Douglas L. Wilson and Rodney O. Davis, editor, Herndon’s Informants, p. 165 (Leonard Swett’s 1877 revision of a January 17, 1866 letter to William H. Herndon). 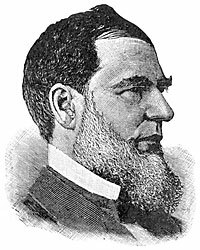 Douglas L. Wilson and Rodney O. Davis, editor, Herndon’s Informants, p. 711 (Letter from Leonard Swett to William H. Herndon, August 29, 1887). Michael Burlingame, editor, An Oral History of Abraham Lincoln, John G. Nicolay’s Interviews and Essays, p. 58 (Conversation with Leonard Swett, October 16, 1878). Michael Burlingame, editor, With Lincoln in the White House: Letters, Memoranda, and Other Writings of John G. Nicolay, 1860-1865, p. 143 (Letter to John Hay, June 5, 1864). Michael Burlingame, editor, With Lincoln in the White House: Letters, Memoranda, and Other Writings of John G. Nicolay, 1860-1865, p. 247. Harry E. Pratt, Concerning Mr. Lincoln, p. 95 (David Davis to Leonard Swett, November 26, 1862). Harry E. Pratt, “The Repudiation of Lincoln’s War Policy in 1862 – Stuart-Swett Congressional Campaign,” pp. 10 from the Journal of the Illinois State Historical Society, April 1931. Harry E. Pratt, “The Repudiation of Lincoln’s War Policy in 1862 – Stuart-Swett Congressional Campaign,” pp. 14 from the Journal of the Illinois State Historical Society, April 1931. Douglas L. Wilson and Rodney O. Davis, editor, Herndon’s Informants, p. 159 (Letter from Leonard Swett to William H. Herndon, January 15, 1866). Michael Burlingame and John R. Turner Ettlinger, editor, Inside Lincoln’s White House: The Complete Civil War Diary of John Hay, p. 193 (April 30, 1864). Robert S. Eckley, Lincoln’s Forgotten Friend, Leonard Swett, p. 152-153. Henry Clay Whitney, Life on the Circuit with Lincoln, p. 88.